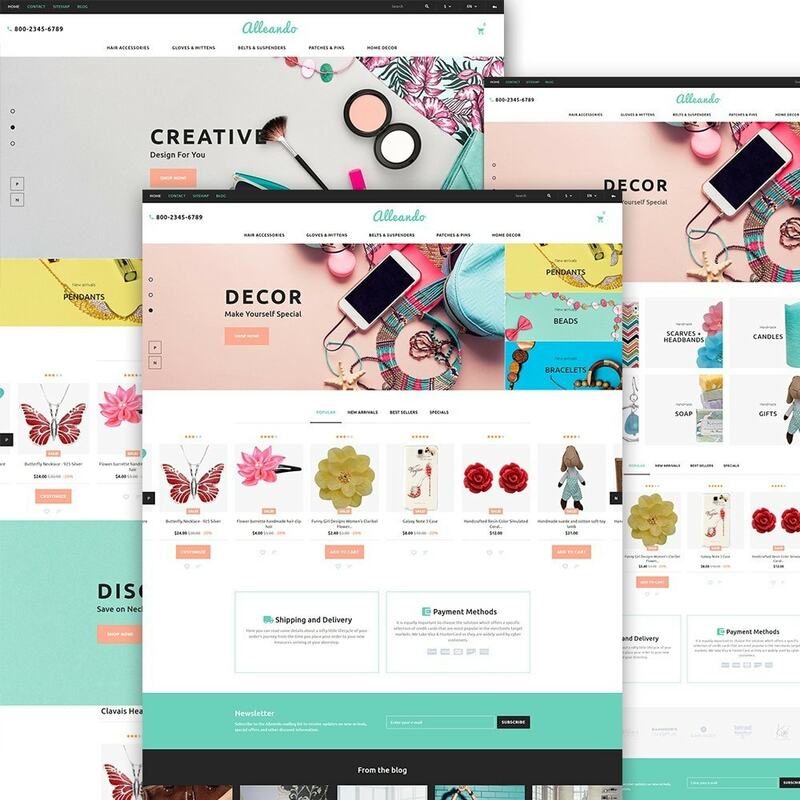 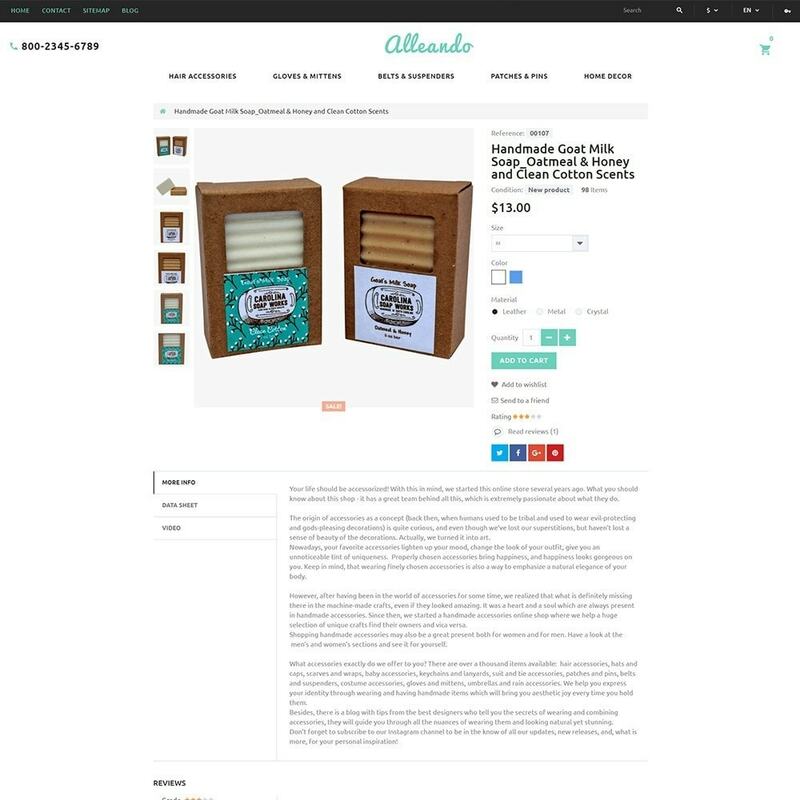 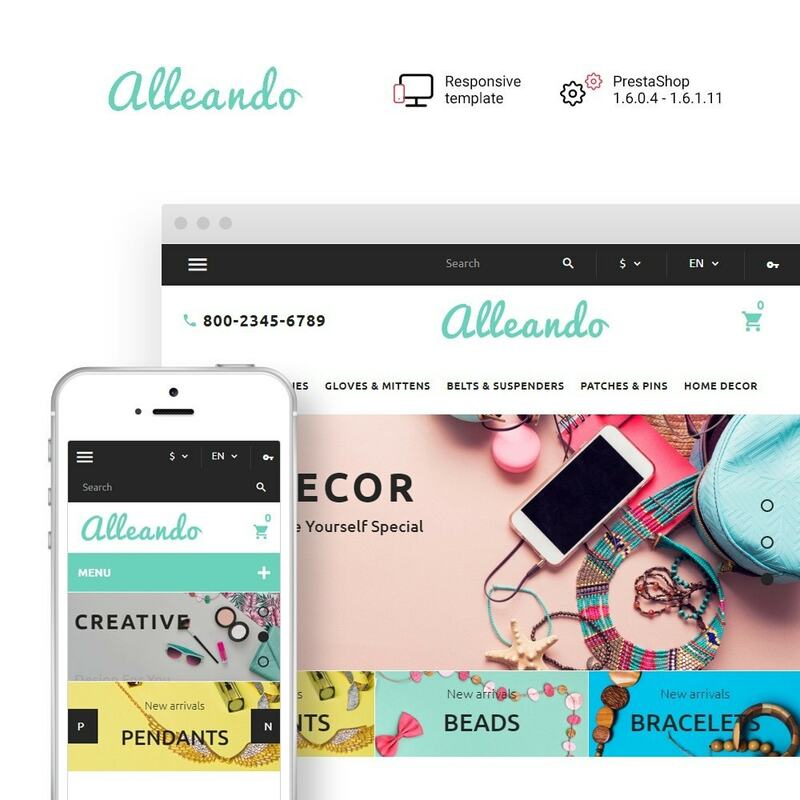 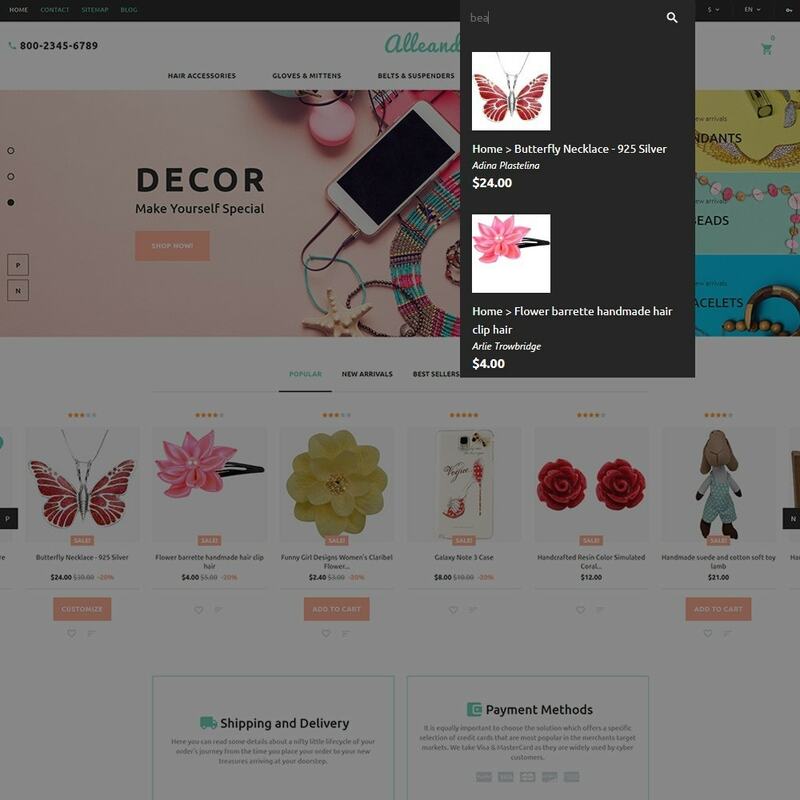 Aleando-responsive Gifts Shop PrestaShop Theme. 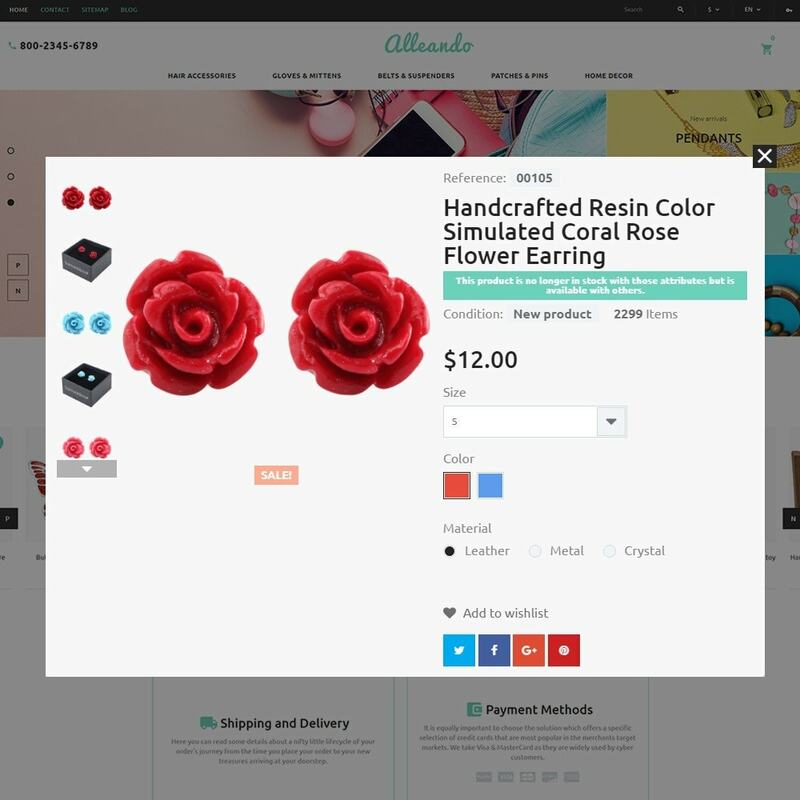 Featuring a bold, color-rich design, it will be a perfect match for accessories, beauty, and fashion web stores. 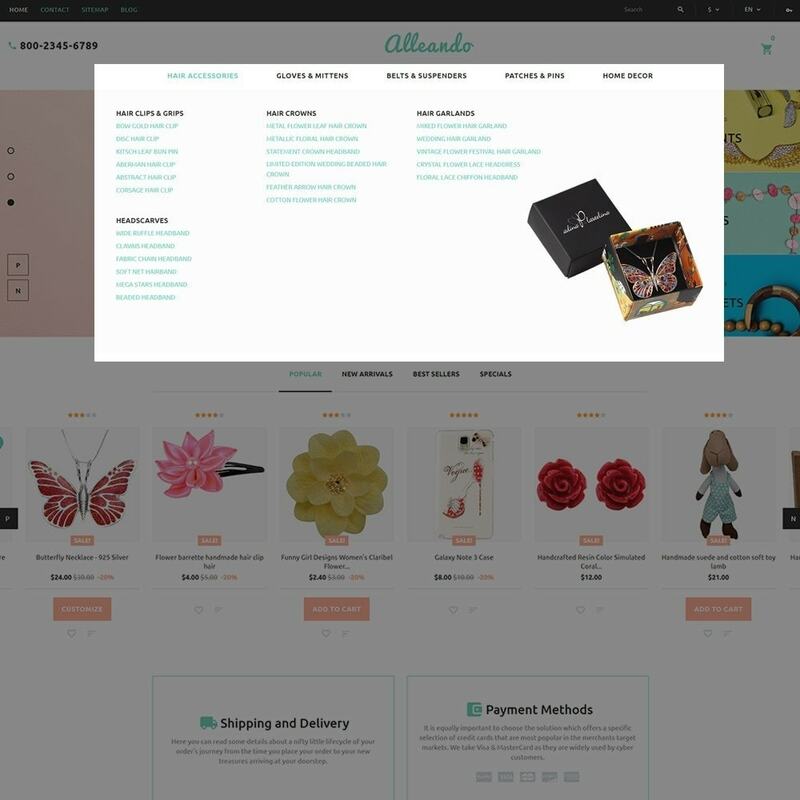 Ajax search and product badges are intended to enhance your clients' shopping experience.